For several years now, the Planetarium (Heysel) and the Space Pole (Uccle) host the ASGARD project from ESERO Belgium and St-Pieterscollege Jette. 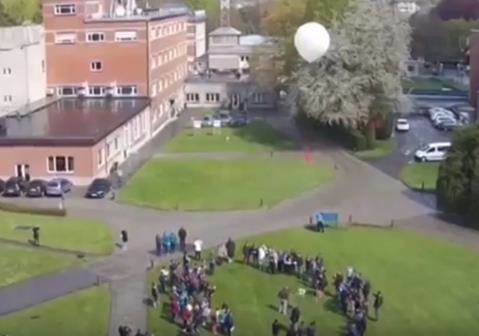 Student teams think of their own scientific experiment to send to the stratosphere (near-space) with a stratospheric balloon from the Royal Meteorological Institute (RMI). The conditions are similar to being on the surface of Mars. Teams whose proposals are selected by the jury, can then build their experiment for real, presenting it to the other selected participants, and launch it in Brussels. During launch day, the students also have the opportunity to participate in several workshops and visit some of the facilities of the 3 institutes at the Space Pole. This educationally all-inclusive project is open to all students from European secondary schools, and even two projects from Belgian primary schools will be selected (see the separate webpage). In 2016, 12 projects got a green light, with participating schools from Belgium, Italy, Spain and Poland. 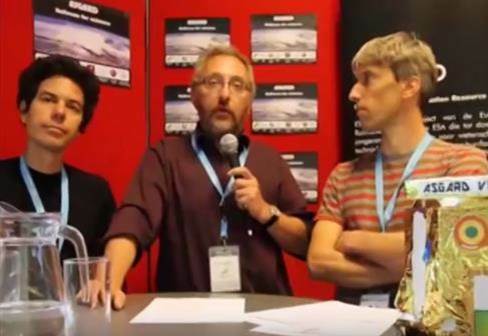 Three key persons are coordinating this project: Pieter Mestdagh (Planetarium, ESERO Belgium), Erik de Schrijver (Sint-Pieterscollege, Jette) and Roeland Van Malderen (RMI). They created a movie using footage from the previous years to explain the project and all ongoing activities. The movie can be found here , with subtitles available in the 3 languages. A separate page with more info on the project is available in English, in Dutch, and in French. At the same time, the movie is also being used to kick off the 2017 edition. First deadline is 11 November 2016, when all proposals should be submitted. There's plenty of room for your idea underneath that balloon!